Ok, so I know you’re all like “why is this guy writing about how to make sandwiches?” To be honest, life has been kind of crazy lately. For the last few weeks, I’ve moved back in with my parents (mixed feelings) and then getting ready for this new job, which I started yesterday. I just haven’t had much time lately to try out any new recipes or review a couple of places, so my content on this blog has been a bit lax. But, don’t worry. Once I get back into the work routine and settle in, everything should stabilize, so bear with me! So, anyways…sandwiches. These are probably some of the most flexible things you can prepare to eat. These handheld delights transcend both meal times and meal courses. You can use many combinations of bread (or even non-bread) and fillings. Heck, I went to a good friend’s wedding some time ago and had pimento cheese spread between two fried green tomatoes. And it was absolutely delicious. Sandwiches come in as many forms as the simple PB&J to the fancy Croque Monsieur. 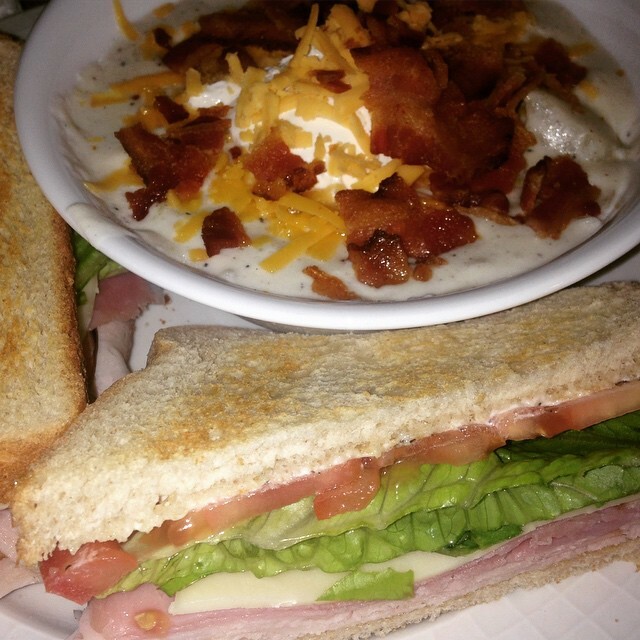 No matter what your tastes are, there’s and a “sammich” out there for you. 2. If tomatoes are involved (and they should be), use salt. It makes a huge difference. A little pinch of salt goes a long way in making a sandwich delicious if you’ve got some tomatoes on it. The salt actually has a double purpose: it sort of “activates” the flavor of tomatoes and makes them actually taste like something and then it improves the texture by drawing out some of the juice. Both of these make tomatoes a juicy and delicious addition to your creation. I generally like to toast my bread when I make a sandwich. I feel that it adds so much texture to the sandwich. 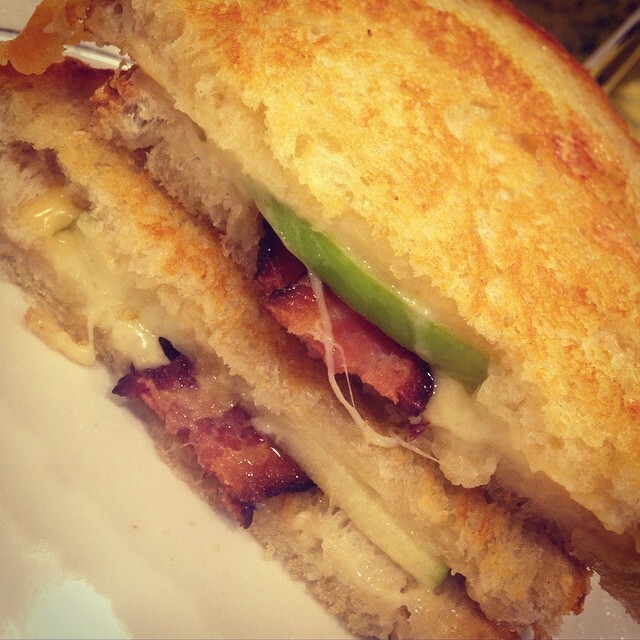 The crispiness of toasted bread plays well agains the moist and juicy fillings on the inside. And I’m a huge fan of blending opposite textures in a dish. And not only does it enhance the texture, but the toasty taste of the bread really adds another layer of flavor. 4. Cheese is your friend. Personally, I think food has this way of tasting even better when it’s presented well. Intellectually, I know this has zilch to do with the flavor, but I think it has sort of a psychological effect. Like, just seeing something you’re about to eat look fantastic causes your brain to send a signal to your tastebuds that sends them into overdrive. I have no scientific proof of this, but a guy than theorize. So, cut it in half and stack the halves in an artsy-fartsy way. 6. Sandwiches don’t always have to be savory. This kind of nullifies tips 2-4, but you heard right. The perfect sandwich doesn’t always have to have meat and/or veggies. You can make a sandwich into an awesome sweet treat. 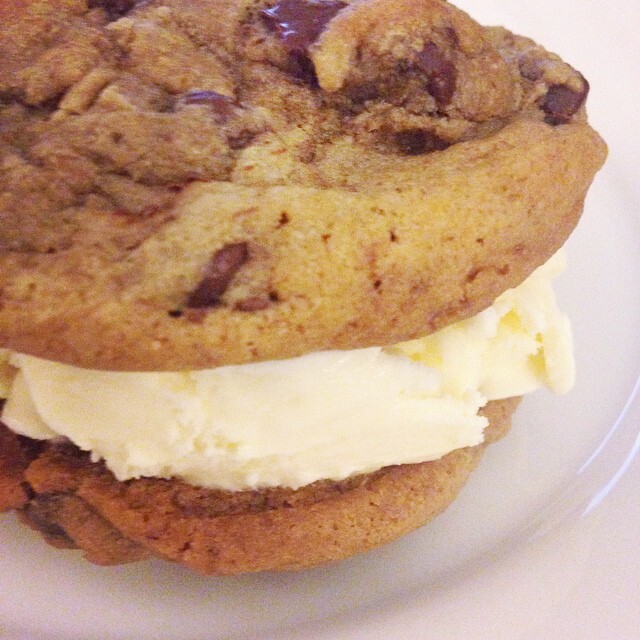 You can take two cookies and fill them with ice cream. You can spread Nutella and strawberry jam between a couple of slices of French Bread. Hell, make some whoopie pies, even. This is the time to get really creative when it comes to building the perfect sandwich. Now, these are just a few tips. What sandwich making tips can you add to this list? Next Post Is Avondale Estates the Next Foodie Hot Spot in Atlanta?